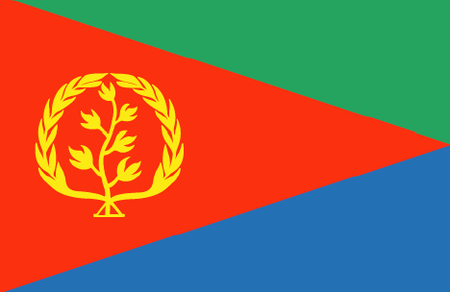 Eritrea is the northernmost country on the so-called Horn of Africa, sharing borders with Sudan to the west and Ethiopia and Djibouti to the south and with a long coastline on the Red Sea. The population of some 6 million is made up of 9 ethnic groups. The country, with its capital of Asmara, fought a long war in an effort to break away from Ethiopia before achieving recognition as an independent state in 1993; the region had earlier been governed by the British, Italians and Ottomans. Though the economic and political situation is not now as stable as it could be, Eritrea is gaining notice as a travel destination for its unique blend of Ethiopian, Arabic and African cultures. The landscape of the south is especially dramatic, with raised plateaus and peaks towering over the desert that are home to archaeological sites going far back into human prehistory. Soccer and bicycling are the main sports in Eritrea, and a few native athletes have made a mark on the world stage. The best known is probably Daniel Teklehaimanot, the first Eritrean to ride the Vuelta a España in 2012 and, along with fellow Eritrean Merhawi Kudus, became one of the first black African riders to compete in the Tour de France in 2015. When it comes to golf, the extensive coast along the Red Sea has great potential. Unfortunately, that potential remains untapped: there are no golf courses in Eritrea.